The 2016 London Festival of Architecture (LFA) celebrates London as a global hub of architecture. 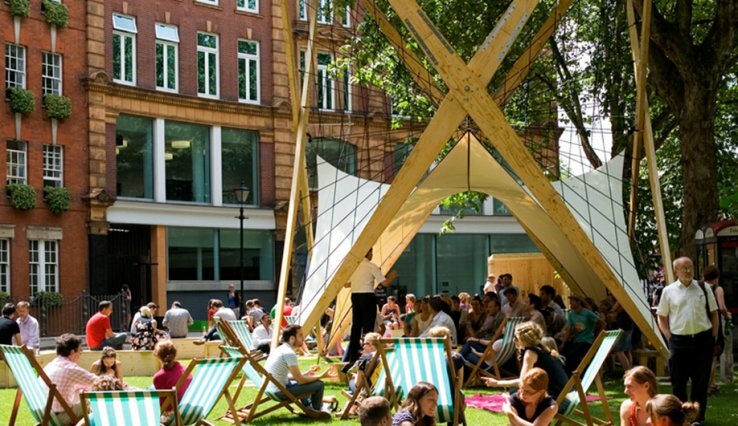 The theme of the London Festival of Architecture 2016 is “Community”, and the festival aims to connect with as many people as possible to demonstrate architecture’s relevance to London and its diverse communities. The festival programme features exhibitions and events organised by London’s leading architectural, cultural and academic institutions alongside architects, designers, curators and community groups from around the UK. To celebrate LFA, New London Architecture will be running a special series of events throughout the month of June. An evening of presentations, powered by PechaKucha, will invite a series of social innovators to present projects, which are engaging, or could engage, London’s communities in creating better places and spaces. What does community mean in a major metropolis? As London continues to grow, the need for measured and innovative community engagement has never been stronger. How can London's boroughs and developers ensure that the public and all stakeholders are adequately informed of new development plans? Can more be done at planning stage to encourage a better sense of community within London’s key development areas? Commemorating London’s most loved new building or place, the inaugural People’s Choice award gives Londoner’s the chance to vote for the best scheme of the last 2 years, selected from shortlisted entries at NLA’s New London Awards exhibition! Forming part of a wider celebration by the industry of the best new and proposed London buildings and spaces, this new award gives Londoners the opportunity to champion their favourite from 03 June - 30 June.